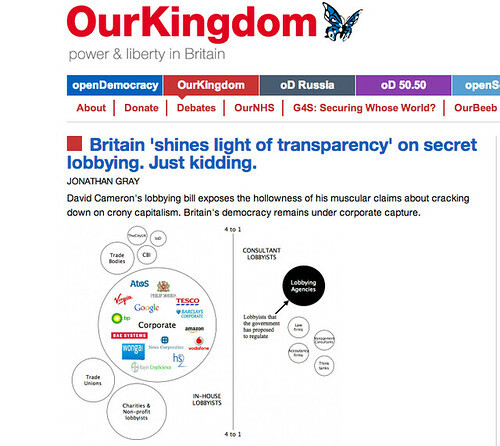 The UK’s new Lobbying Bill will do nothing to fight the malign influence of big money in politics, I argue in a piece for Open Democracy. This entry was posted in advocacy, data, open data, openknowledge, policy. Bookmark the permalink. Post a comment or leave a trackback: Trackback URL.